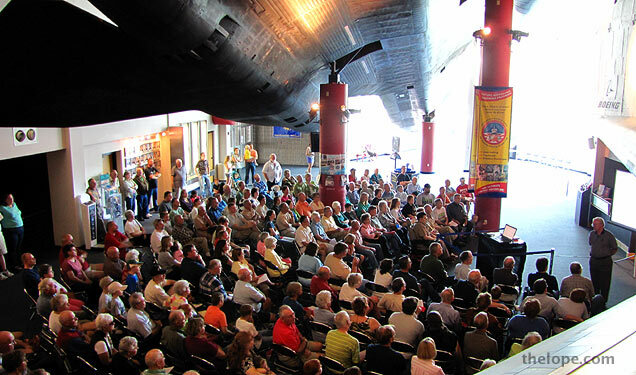 Last September 5 and 6, Buz spoke to an audience assembled in the lobby of the Cosmosphere under the wing of the SR-71. 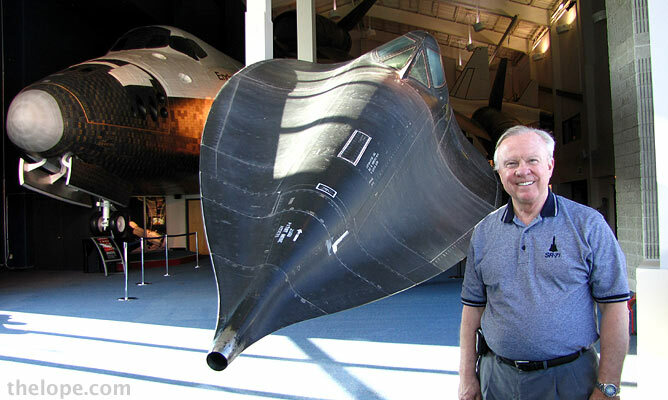 The SR-71 was remarkable for its early stealth technology and its top altitude of about 85,000 feet - 5,000 feet higher than needed to see the curvature of the Earth. 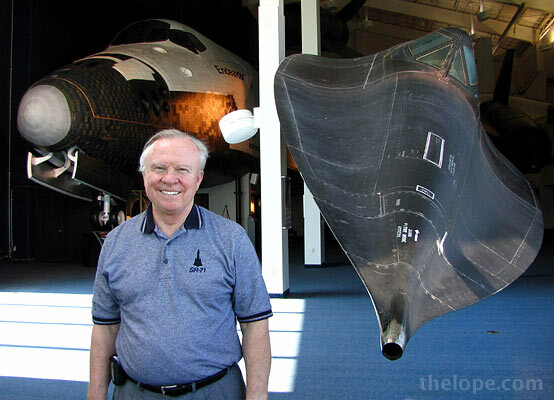 Its top speed was mach 3.3 - 26 miles per minute. Put in a local perspective, that's the distance from the intersection of 30th street and K-61 in Hutchinson to the center of McPherson in sixty seconds. Cool, huh? 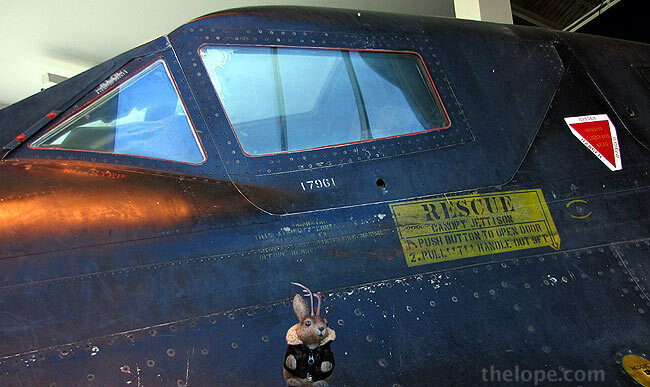 Ace poses by the 2.5 inch thick laminated quartz glass pilot window, which, in flight, could reach temperatures of 620F. 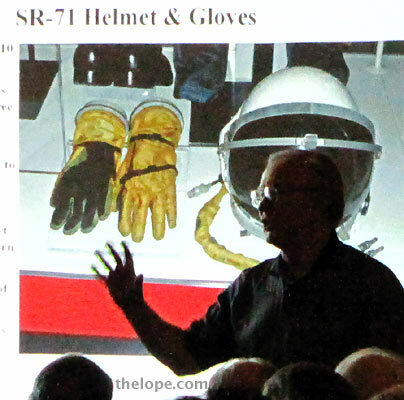 Buz points out some features of the SR-71 flight suit. 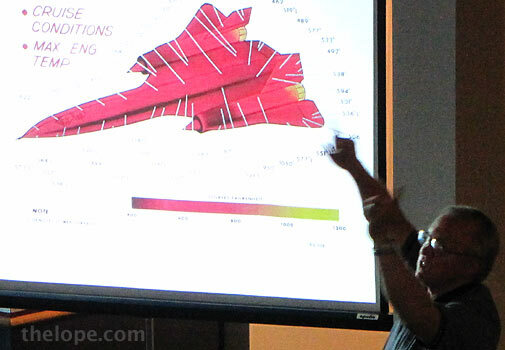 High altitude flights were essential in the learning curve of the evolution of space suits. 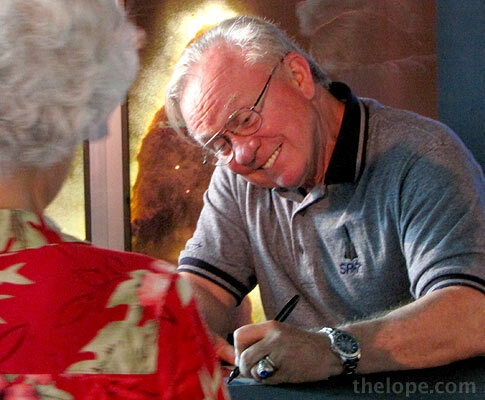 Buz's appearance is free to the public and he'll sign autographs afterward. 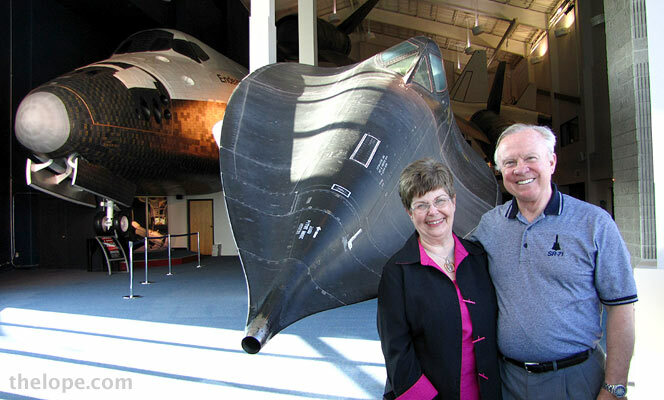 Buz poses at the Cosmosphere with his wife, Nancy. 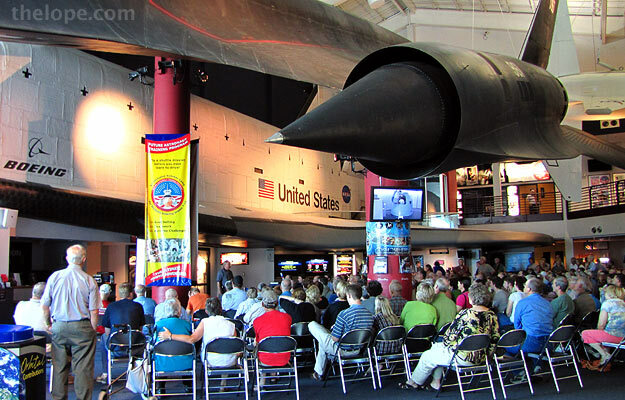 For more information, see the Cosmosphere blog.